All students interested in joining the lab should read the following information before contacting Prof. Armani. Additionally, some commonly asked questions are answered on the FAQ page. The Armani Lab offers one high school student per year the opportunity to work in a research lab setting. The minimum time commitment is 8 weeks during the summer. While GPA and course background are relevant, enthusiasm for research and an interest in science and engineering are equally important. If you are interested in applying for this position, please contact Prof. Armani directly. Applications are accepted year-round, but this position typically fills by early March. 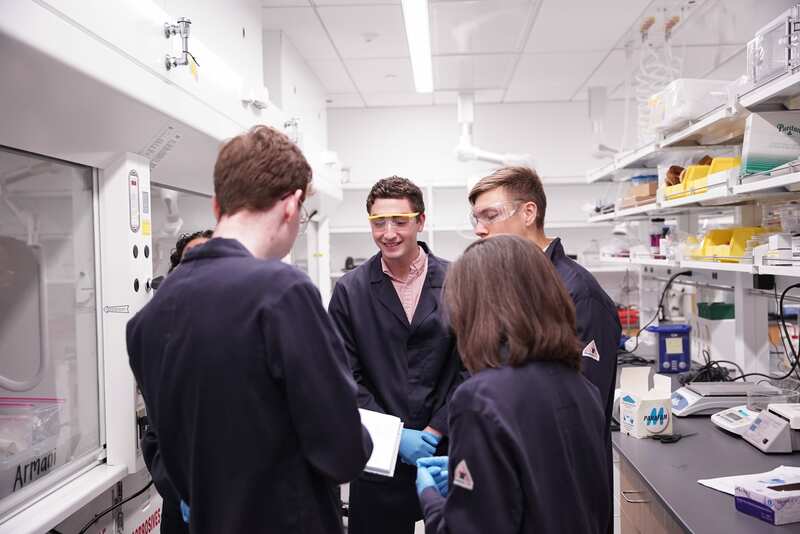 The Armani Lab offers undergraduates at all stages in their studies (sophomore through senior) and in all of the disciplines listed above an opportunity to participate in research during the summer and the academic year. There are no formal requirements (experience, year or major). Research projects can be part of a directed research course, Merit Research, or can be independent of an academic curriculum. However, all undergraduate researchers must commit to spending at least one full year in the group, including one summer (10 weeks, paid). Similar to undergrad positions, announcements are made sporadically throughout the year as appropriate projects become available. Please monitor twitter and facebook for positions. Additionally, announcements are sent through the GAPP office. The Armani Lab only accepts PhD students on the normal admit cycle (apply in the fall and start the following fall). 2019-2020 Academic Year: There are openings for admitted students whose departments have rotation programs (Biomedical Engineering and Chemistry). It is advisable to contact Prof. Armani before the start of the school year. Students admitted to other depts within the School of Engineering or the College (e.g. Computer Science or Biology) can also be advised by Prof. Armani, but the admissions process is more complex. Please alert Prof. Armani if you apply to a dept other than one listed above. In addition, students admitted to the MD/PhD program can be advised by Prof. Armani. However, the admissions process to this program is distinct from the standard PhD admissions process. Please contact Prof. Armani if you are considering this route. Additional information and advice for students interested in PhD positions is available on this page. Students are strongly encouraged to read it before emailing Prof. Armani. There are currently no post-doctoral openings (as of 3/2019). It is not anticipated that there will be openings until fall 2021 (at the earliest). The Armani lab welcomes visiting PhD Students and scholars from other institutions. However, due to space limitations in the Armani Lab, we will only host one student or scholar at any given time. Given this restriction, it is never too early to start planning. Additionally, for international visitors, there are several protocols established by USC which must be followed. Due to visa restrictions, it is necessary to plan a visit at least 6 months in advance. Additionally, if your stipend/salary is being supported by funding from your own institution (which is expected), you must be able to provide proof of health insurance or be willing to purchase USC insurance. Finally, USC does not have housing for visitors. Therefore, you must find your own housing. While we can direct you to housing websites, this will be your own responsibility.